Perth Half Marathon 2017 | JustRunLah! This community event is conducted by the West Australian Marathon Club Inc. with the proceeds being donated to the Lions Save Sight Foundation. Their aim is to promote the sport of running. 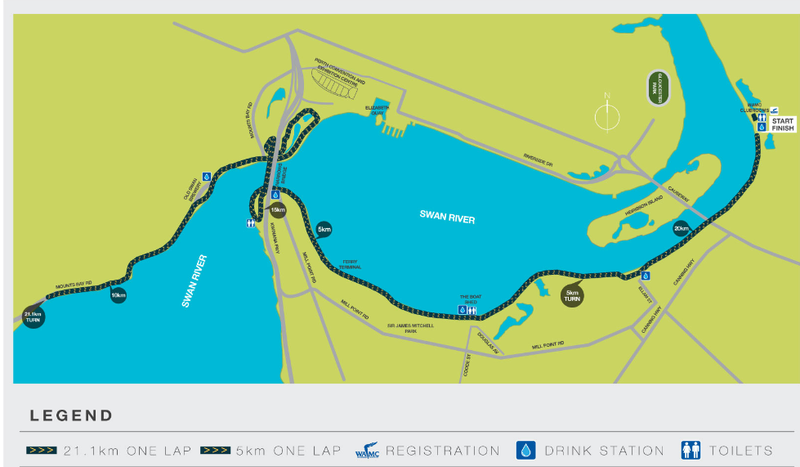 Participants have the option of a 5km walk or run in conjunction with the Half Marathon. This option has been designed for those who want to be part of the great community event but feel 21.1km is too far. The 5km is ideally suited for walkers or the very young with their parents.